Globally, there is a looming shortage of employees in the marine sector and Canada is not exempt. Canada alone requires around 10,000 new employees, which is just 2% of the global requirement within the next decade. Marine personnel are required to replace retiring captains, officers, marine port workers and engineers. The problem is that the number of students enrolling in marine courses are dropping. This is a major concern, not only being experienced in Canada, but across the globe; as young professionals are opting for different occupations. One of the main reasons for not joining the marine profession is due to the long time out at sea. Global trade is dependent on ships to transport bulk cargo over long distances. Therefore, the trillion-dollar shipping industry can’t come to a stop. Canadian shipping companies, government and all stakeholders have been working hard to encourage young professionals to take maritime courses and join the profession. In order to keep the industry moving, there are certain strategies that are being implemented. To help encourage more candidates to join maritime courses, pre-requisites have been changed, as well as the requirements for graduation. With a large deficit of over 1,000 marine jobs needing to be filled each year and an insufficient average graduate rate of just over 200 mariners each year, serious steps must be taken. Since the majority of personnel required in the marine shipping industry are related to manual labour jobs, or deck-hands as they are better known, the passing marks for these candidates are being relaxed, allowing more deck-hands to pass. While working on marine vessels, most professionals will need to work up the ladder to achieve higher ranks. Most intend on being promoted, however, a major concern linked to marine courses was the limitation on continuing education, without needing to take a break from work. Even with distance learning, mariners do not have the time to study while at sea. To alleviate this, shipping companies will have to allow for further education while still on duty. This could be accomplished through better communications technology and standard hours set aside for coursework. 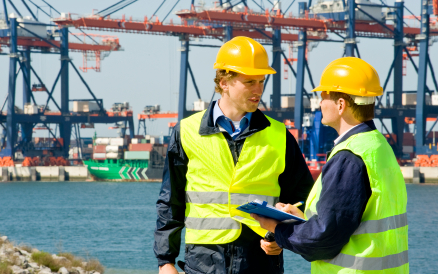 The maritime industry have some of the highest paying jobs. Furthermore, employers pay for food, transport and all other expenses linked to their employees during voyages. In addition to this, mariners receive a compulsory 16-week paid sick leave, meaning they only work for 8 to 9 months a year, yet are paid for 12 months. With mariner jobs paying between $110,000 and $130,000 to captains, engineers and officers, with a whopping $75,000 to deckhands, those who join the profession can expect to be well compensated in a very short time. These attractive benefits could help lure more candidates in to joining the maritime profession and need to be communicated to the general public. Pay scales are also expected to increase in this industry, due to the global shortage being experienced. Many international shipping companies are prepared to pay extra to fill their vessels’ vacancies and maintain productivity. To combat and overcome the maritime labour crisis expected in the next decade, it’s important that all stakeholders work together in educating the public and young professionals regarding the benefits and importance of the industry. Presently, it has been noted that mariners tend to hide the privileges they get from the profession, so as to maintain a monopoly in the industry. This has slowly grown to be a major problem, which has resulted in the reduced number of professionals joining maritime courses. This in turn, has resulted in the current global mariner shortage.